The next great American family adventure could take place anywhere. Don’t know where to begin? Become a ranch hand in the Texas desert, a beach bum of Florida's sandy Gulf of Mexico shore, or a dog sledder in Pennsylvania's Poconos mountains. By fishing boat catch a striped bass lake monster, sink into the indulgences of a Victorian castle spa, live like a real cowboy in Oregon's Cascades mountains, and go dog sledding in Pennsylvania's highlands. Experience America's frontier and begin your whole outback family adventure, without having to "rough it," in the Top All Inclusive Family Resorts! At Woodloch Resort the "all-inclusive" tag reads "fun" in its fine print! Exceptional family vacations start here, with three meals daily, more than 30 activities and entertainment possibilities, and the magic of a Poconos, Pennsylvania setting. From Woodloch Springs Golf Course, an adults-only Spa, to-die-for dining, Go Carts, and Woodloch Forest playground, dreamy accommodations aren't the best asset of this all-inclusive family resort in the Poconos of Pennsylvania! Wagon wheels, elk antlers, and totem poles only hint at the adventure waiting at Rocking Horse Ranch. This all-inclusive, three-diamond resort features wall-to-wall attractions and amenities like ranch-themed accommodations, top-name entertainment, a spa, Indoor Fun Barn with foam factory, Big Splash indoor water park, unlimited horse adventures, Winter Fun Park, and even its own private lake! Experience all the best of the Wild West, indoors, at Rocking Horse Ranch Resort! Experience New York's exclusive all-inclusive treatment from Villa Roma Resort and Conference Center! Famed by Fodor's Choice Awards, it's no surprise that Villa Roma Resort is also an all-inclusive family favorite! A regal dining room, world-class golf course, salon & spa, and Futura or Capri Wing suites sweeten the all-inclusive experience, while aquatic attractions, game room, sports complex, Kid's Program, and more begin your family-friendly adventure into New York's Catskills. An all-inclusive package at Rankin Ranch will make you feel like a California Cowboy- and the fun doesn't stop there! When you book your all-inclusive stay at Rankin, you're putting your mind at ease. Don't worry about where your family is going to eat, what they're going to do, or what time you should do it- Rankin will handle it. Three full meals per day, horseback riding and all ranch activities are included in the package. There's even a special children’s program for ages 4 through 11, filled with arts and crafts, nature hikes, treasure hunts, boat and kite making, and much more. Put your mind at ease! A European fairy tale unfolds at one of America's best all-inclusive resorts: Mohonk Mountain House! This Victorian castle looms over the cliffs of Lake Mohonk in upstate New York's scenic Hudson Valley. Look over a thousand-acre wood of winding trails and Catskills Mountains. Dine in turn-of-the-century elegance. And experience an award-winning spa, comprehensive fitness center, and world-class entertainment that spans from culinary adventures to campfires with s'mores. 5-Spur Service is a C Lazy U Ranch signature. Find your all-inclusive ranch experience at the peak of Colorado adventure and discovery. Where the early days appeal of a family dude ranch vacation meets the luxury of an all-inclusive resort. Sample a stronghold of Southwestern suites and cozy cabins that play host to your next Western adventure. There's horseback riding, the top-rated Lazy You Spa, and Kids and Teens Programs that will keep every little cowboy or girl busy from sunup to sundown. In the shadow of Black Butte, the Cascades Mountain Range hides a treasure more precious than the gold rush: Black Butte Ranch. Hidden beyond the Evergreen and Aspen forests, Cascades mountains, and river valleys is a ranch to rival nature's best. More than 1800-acres beckon your next adventure, where Glaze Meadow Sports Shop will outfit you for any outdoor excursion. Marvel at resort lodging, dining, and Sisters Spa, or let the Cascades backdrop take your breath away at Black Butte Ranch. 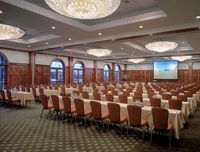 Follow the Lone Star to a truly tranquil experience where business and pleasure meet, and all-inclusive family vacations thrive: Tanglewood Resort and Conference Center. Texas' finest accommodations are surrounded by turquoise swimming pools, the Tranquility Spa, excellent Striper fishing on Lake Texoma, and the resort's very own championship golf course. From fun in the sun to s'mores by the campfire, everything's bigger in Texas - including all-inclusive family resorts! This AAA Four Diamond has all the splendor of the Rocky Mountains with all the charm of a family-owned bed and breakfast. When you come for an all-inclusive stay at Vista Verde, you'd best come prepared: you're going to be busy! As a dude ranch, you'll spend a large portion of the time on horseback. The experienced professionals on staff will make sure you feel safe and secure, then take you for a trot around the property. Perhaps the biggest benefit to an all-inclusive vacation is that you aren't required to do any planning. IT's a paradox: here you can take it easy while staying busy (with fun, of course). Located on the shores of Elk Lake in beautiful Northern Michigan, White Birch Lodge has been an all-inclusive family tradition since 1958. The White Birch Lodge's all-inclusive vacation package in Northern Michigan includes everything you need for your getaway. Guests are served three meals a day in the lakefront dining room. Children's programs, evening activities, bonfires, and more are included. It's a great way to limit extra expenses! Experience great water skiing, tubing, kayaking, and much more! White Birch Lodge is also pet-friendly! An all-inclusive stay at Alta's Rustler Lodge is filled to the brim with relaxation, hospitality, and, above all else, fun! Combining the cozy atmosphere of a mountain lodge with homey charm, each of the 85 rooms at Alta's Rustler Lodge range are luxurious in their own way. During your all-inclusive stay, you'll enjoy complimentary full breakfast and dinner. When you aren't stuffing your face or hitting the slopes, you'll be taking a dip in the outdoor heated pool, soaking in a Jacuzzi, or unwinding in a eucalyptus steam room and sauna. It's your vacation- treat yourself! 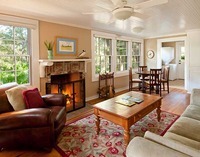 Get ready to experience an unparalleled all-inclusive getaway at The Lodge on Little St. Simons Island. The Lodge offers all of the privacy you are looking for in an all-inclusive island getaway because it only accommodates up to 32 overnight guests at any given time. Enjoy 10,000 acres of maritime forests and marshlands, perfect for outdoor excursions. Your package includes three daily meals, all beverages, and naturalist led activities like hiking, birding, fishing, kayaking, and so much more. This secluded island lodge also offers a number of cottages and houses to fit all of your needs. Boasting 79 years of happy family resort experiences, Tyler Place Family Resort welcomes you to their cozy corner of Vermont! The all-inclusive resort getaway gets a family-friendly makeover with award-winning Infant, Toddler, Children, and Teen Programs, all meals, sports, activities, and the best travel-with-kids experience imaginable. Nowhere-else activities like banana boating, age-staggered children's programs, and more than 40 guided adult activities are just the beginning of the fun. White Birch Resort is nestled beside beautiful Blackduck Lake and offers an incredible five-star-all-inclusive experience for everyone! No matter the time of the year, you can enjoy plenty of activities with your loved ones. White Birch Resort offers 30 complimentary onsite activities including kayaking, canoeing, and fishing, as well as games such as badminton and volleyball in the summer. Ice fishing, snowmobiling, snowshoeing, and cross-country skiing are part of your winter experience. Everything you're looking for in a fun-filled all-inclusive family Minnesota getaway is right here! Supreme California hospitality is the result of Wonder Valley Ranch Resort’s passion for creating unique experiences for unique people. The beautiful surroundings of the Sierra Nevada mountains welcome you to an unforgettable retreat at the Wonder Valley Ranch Resort and Conference Center. This exceptional California destination is perfect for nature-lovers looking to escape the hustle and bustle of everyday life. You can enjoy plenty of onsite activities such as kayaking and fishing on Dalton Pond, or relaxing walks through the resort's trails! What makes Skytop Lodge the perfect Poconos family getaway? Maybe it’s the Adventure Center where everyone will find fun in treetop zip lining, paintball, and laser tag. Possibly it’s the Family Fun Package that crams so much excitement and convenience into your stay. Enjoy all-inclusive specialties such as three meals a day at the Windsor Dining Room or the Lakeview Restaurant. Hit the links for a round of golf and have free reign to rock climbing, geo-caching, bikes and boats, and much more! Family fun and adventures await you at Zion Ponderosa Ranch Resort. There's fun for all with the all-inclusive vacations at Zion Ponderosa Resort! While you're hiking or horseback riding, Kids Camp at Zion Ponderosa Resort offers your kids a wide variety of exciting activities. From pony rides to splashing in the pool,this full day of fun is sure to help them learn and make friends during their time on the ranch. Red Horse Mountain Ranch in Harrison, Idaho is known for its all-inclusive dude ranch vacations including an extensive list of guided adventures, luxurious accommodations, and a Kids Program for ages 3 and up. In the Kids Program, kids can learn how to shoot a bow, ride a horse, kayak, and more. Get the whole family together and explore the beauty of the Coeur d'Alene Mountains and Lake, any time of year. Make sure to try fishing, whitewater rafting, and mountain biking.